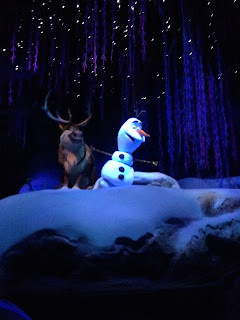 A neighbor told me to look into the Dream Factory and I'm so glad that I did. 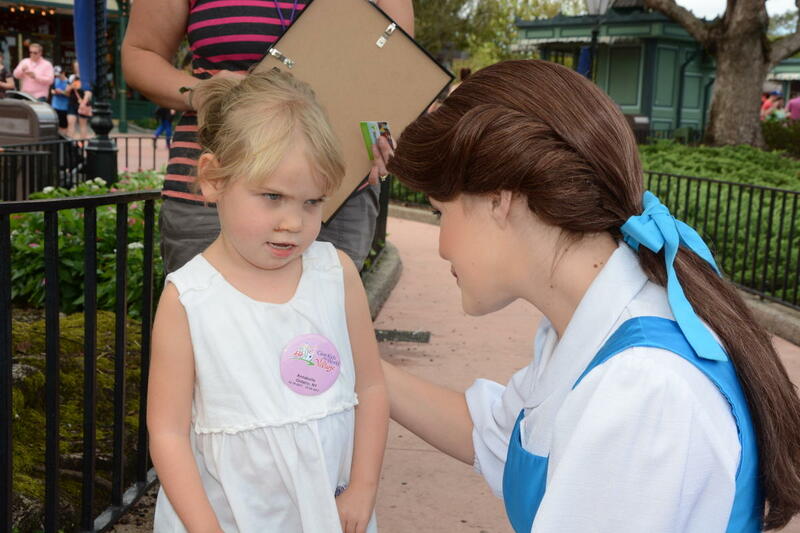 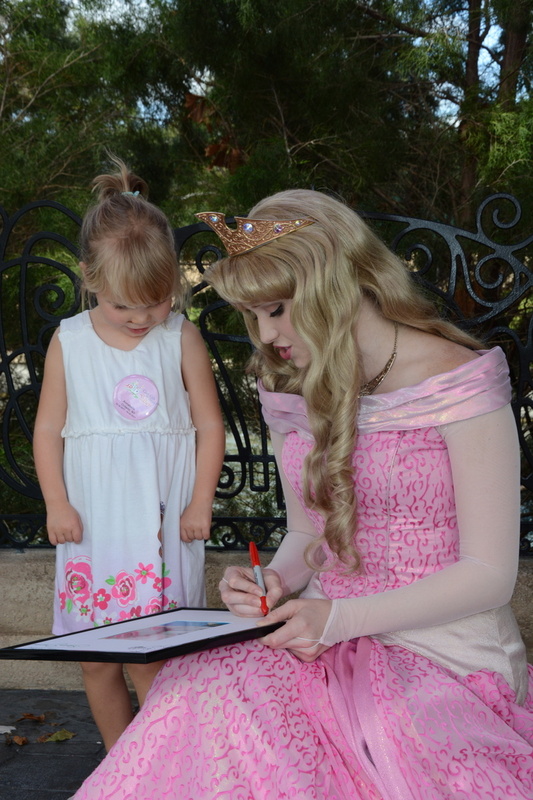 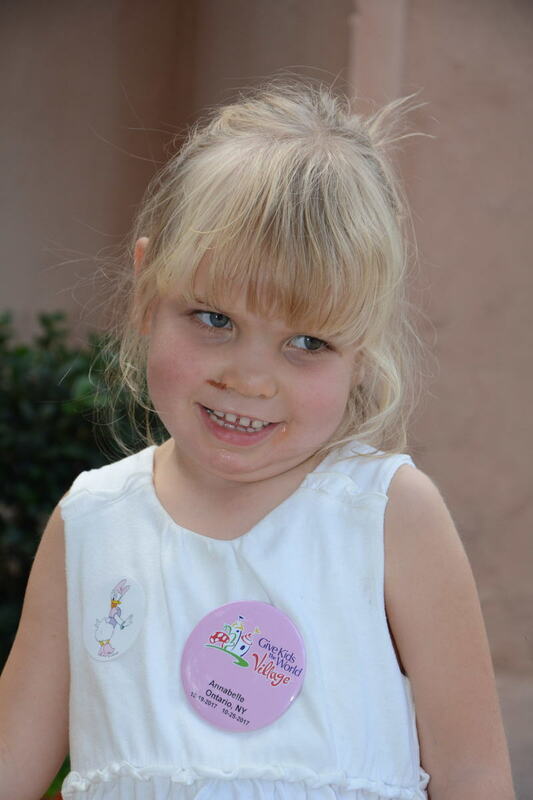 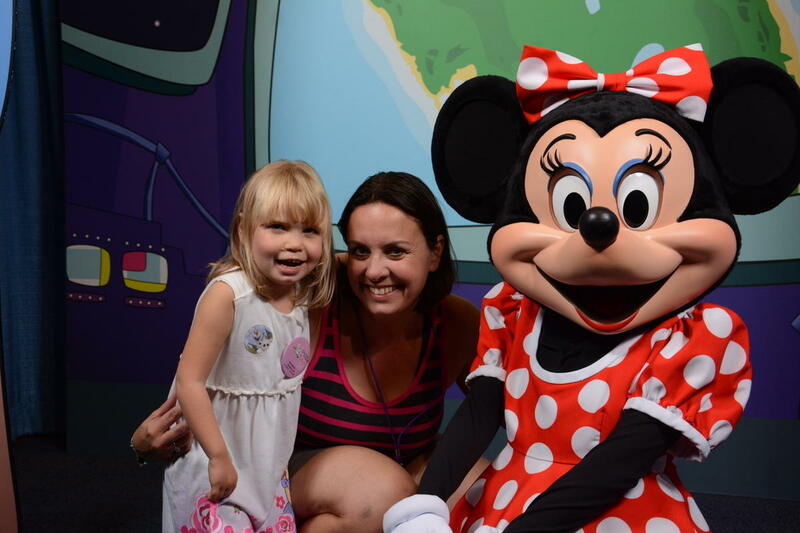 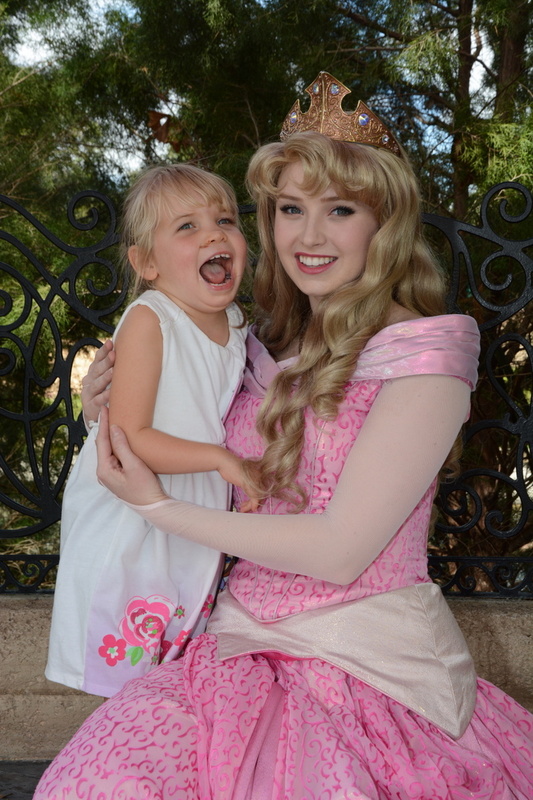 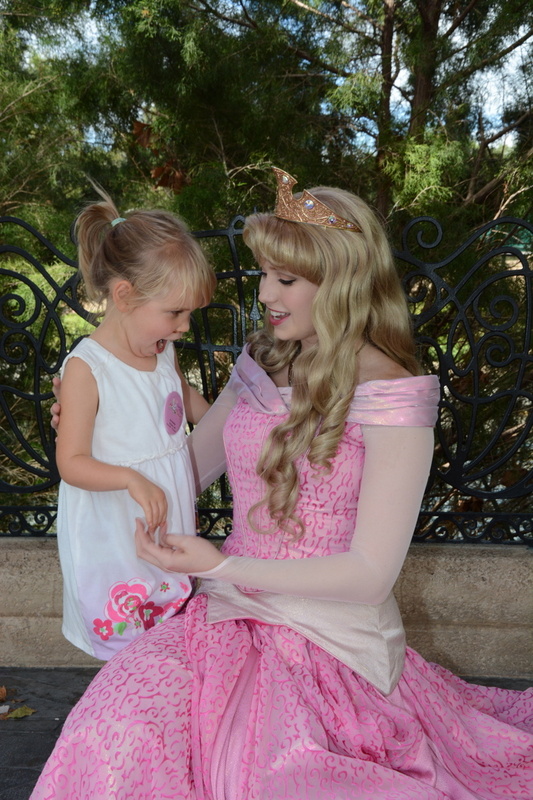 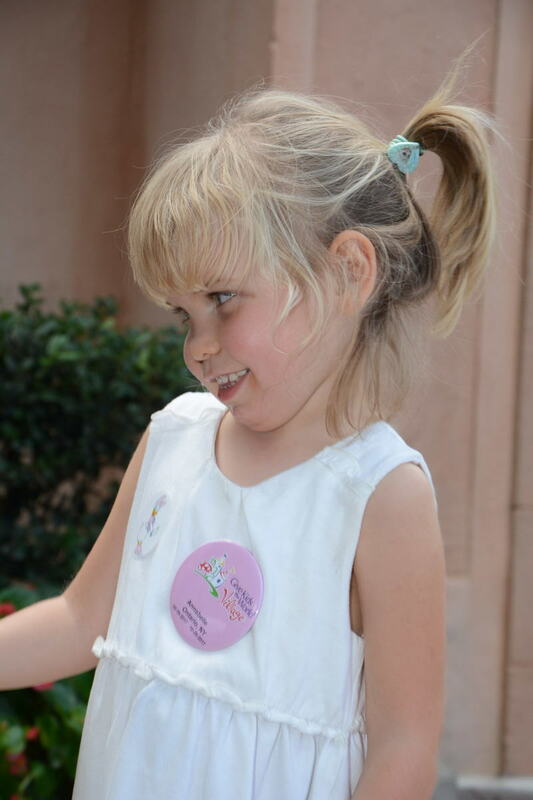 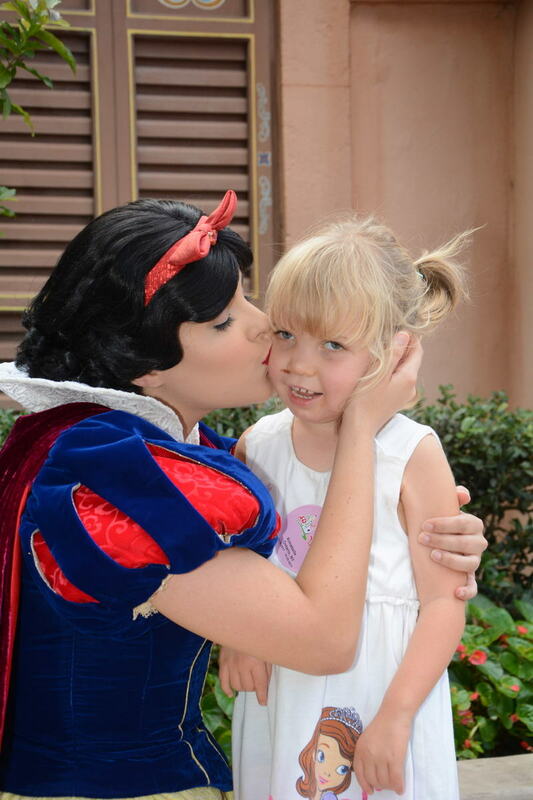 They provide wish trips for critically and chronically ill children from 3-18 years old. 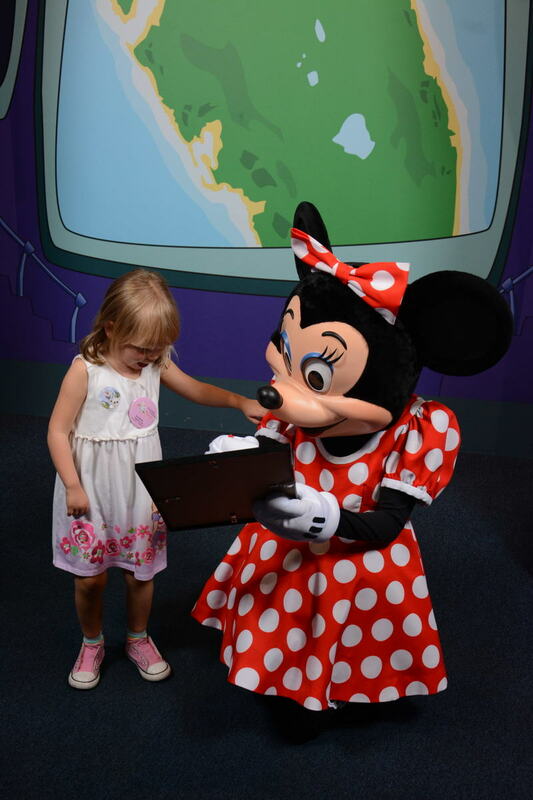 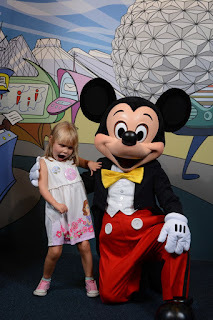 I applied and quickly received word back that our Disney wish trip had been approved! 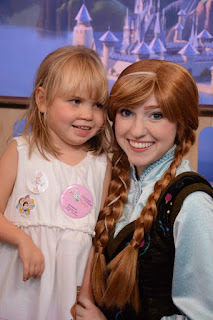 As we learned more about the trip we were overwhelmed by all the wonderful things they were going to provide for Annabelle. 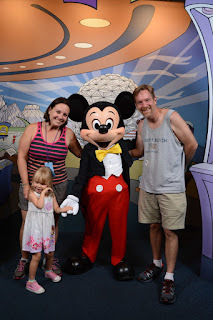 Making the trip a once in a lifetime dream! 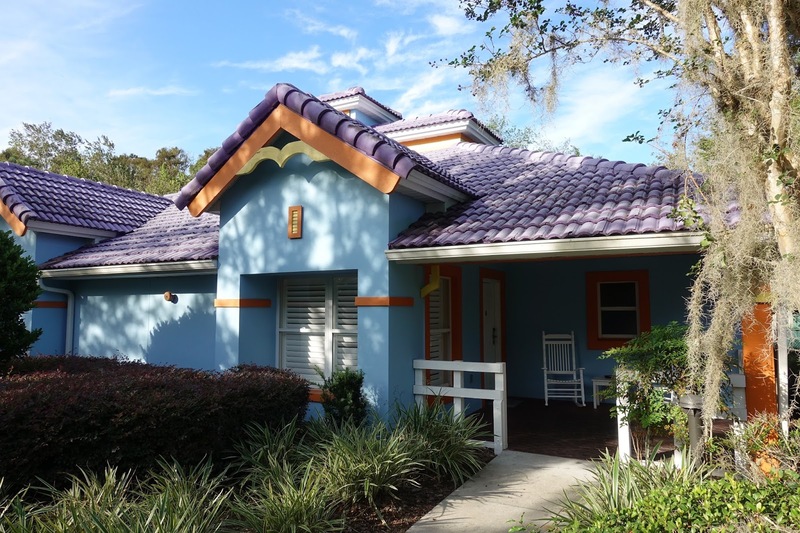 We would be staying at Give Kids the World (GKTW), a village only for children who are on wish trips from various agencies. 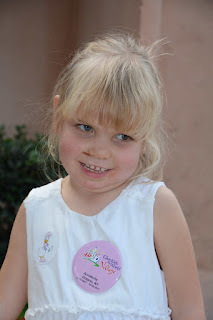 We would have 3 Disney days, 2 Universal, & 1 Seaworld. 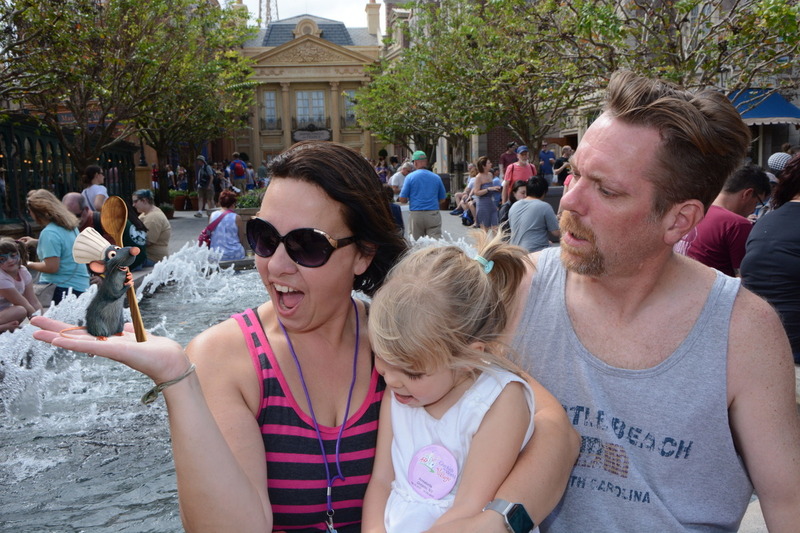 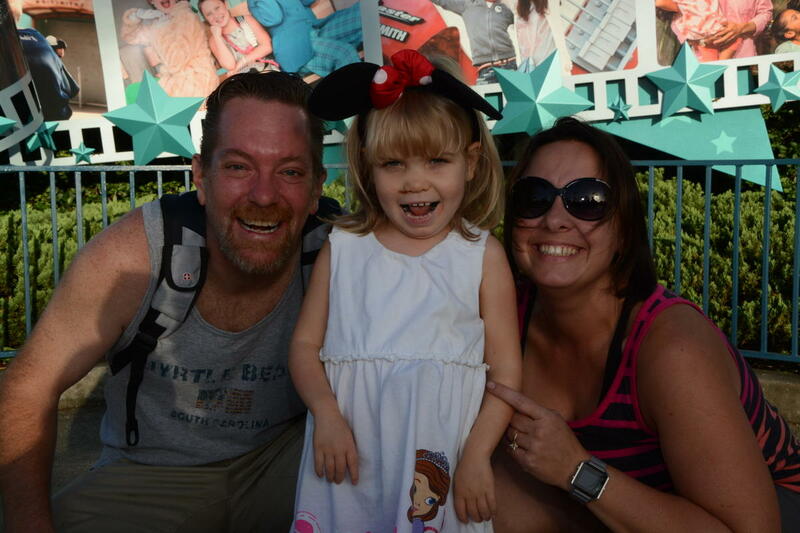 They also offered other parks if we were interested but we decided to spend all extra time we had at GKTW as it's an amazing place with so many activities and you can only stay there once while on your wish trip so we didn't want to miss out. When we got to Orlando we had someone greet us and help us get out of the airport, get our car, and even gave us a bag of goodies to take with us. 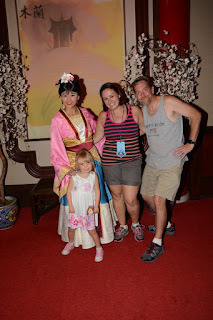 When we got to the village it was amazing! 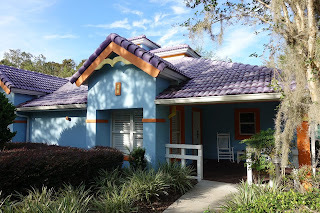 The buildings are all different colors and look like you have stepped into a Candy Land game. We were met at the car and brought to our villa where we would be staying. 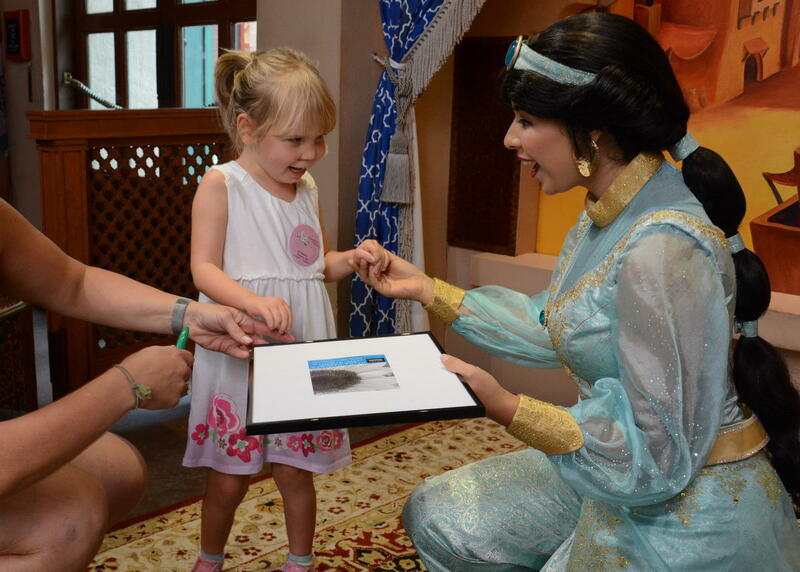 All of the villas are similar inside but the outsides are all different. We received our tickets, passes, photo info and more along with a tour of our home for the week. 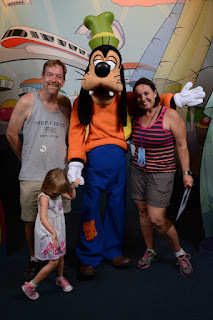 We were so excited to begin our week starting with Hollywood Studios. 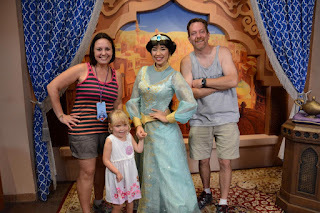 We had breakfast with Sofia the First, Jake, Doc McStuffins and Handy Manny to kick off our trip (pics still on Brian's laptop). 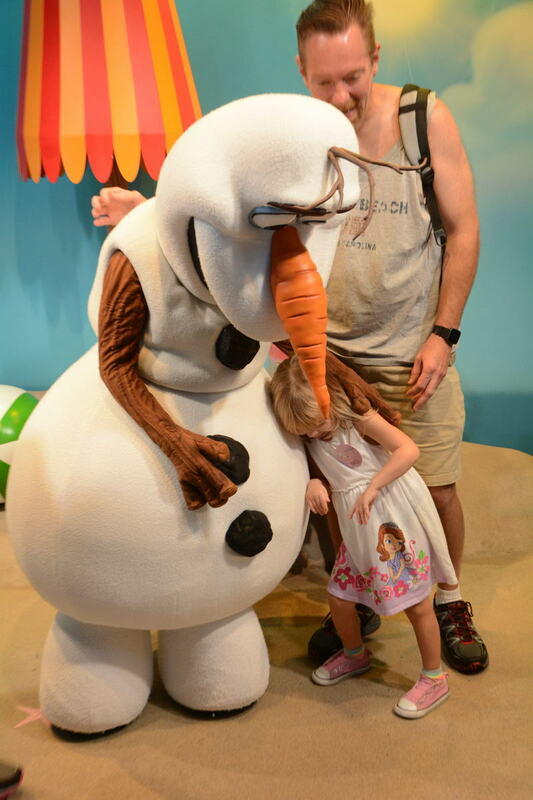 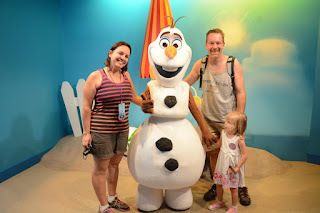 Big hugs for Olaf, she just loves him!! 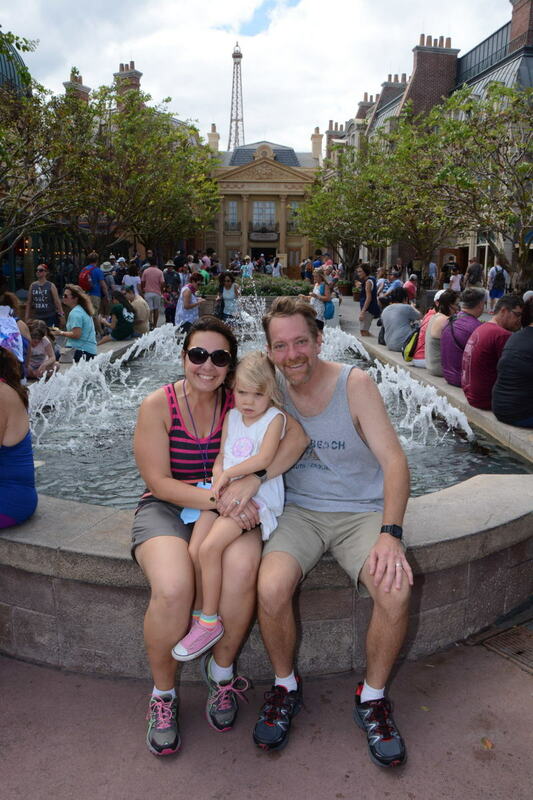 After Hollywood Studios we headed over to Epcot for the afternoon. 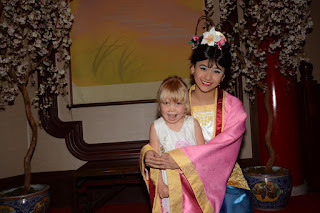 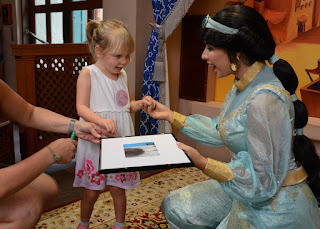 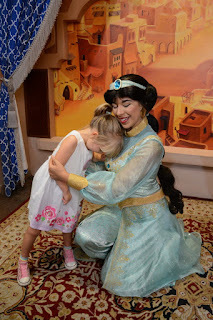 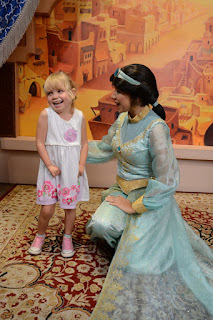 It was so wonderful to have the Genie pass, we got to see all the princesses without waiting in line at all! 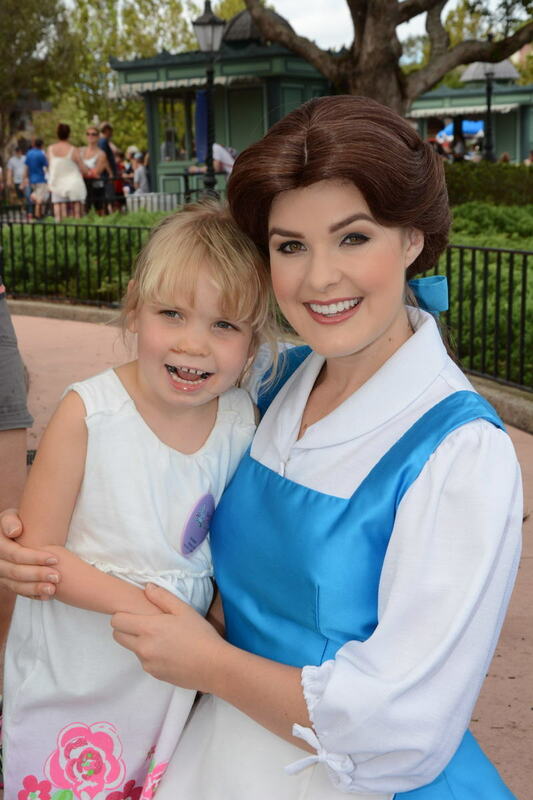 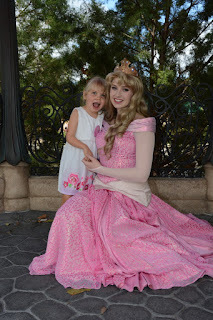 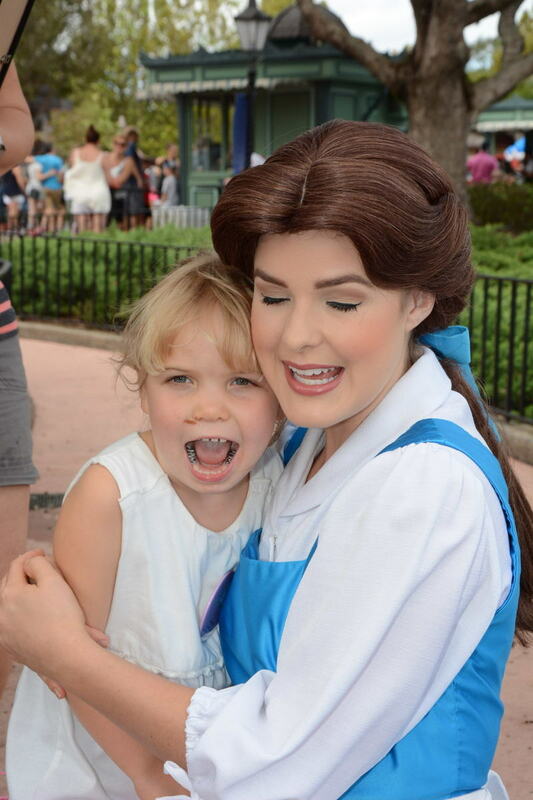 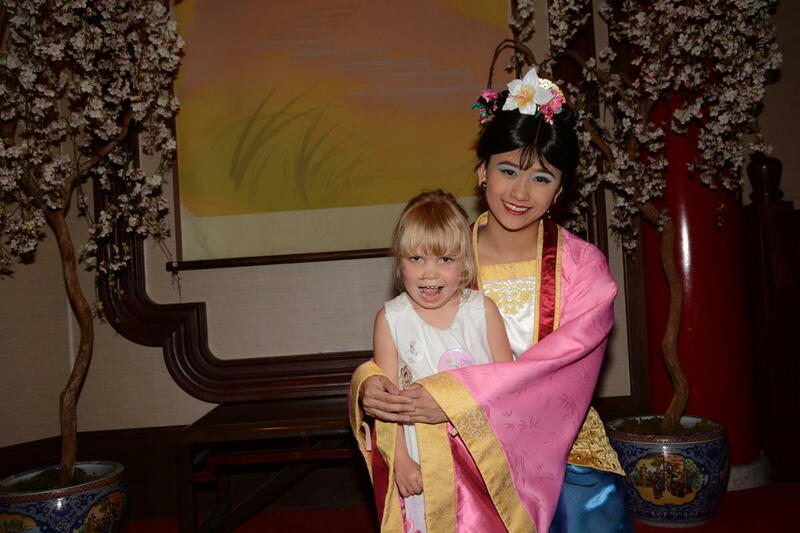 All of the princesses were so amazing, taking so much time to talk to Annabelle and have some laughs and hugs. 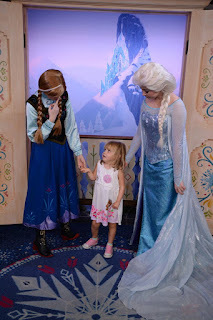 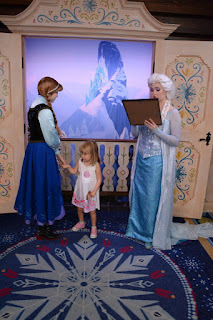 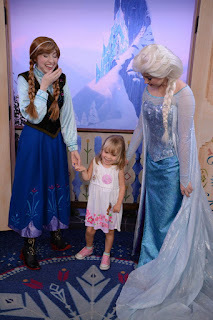 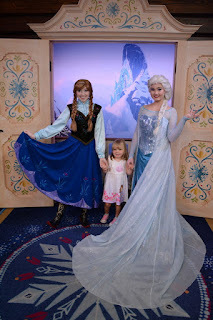 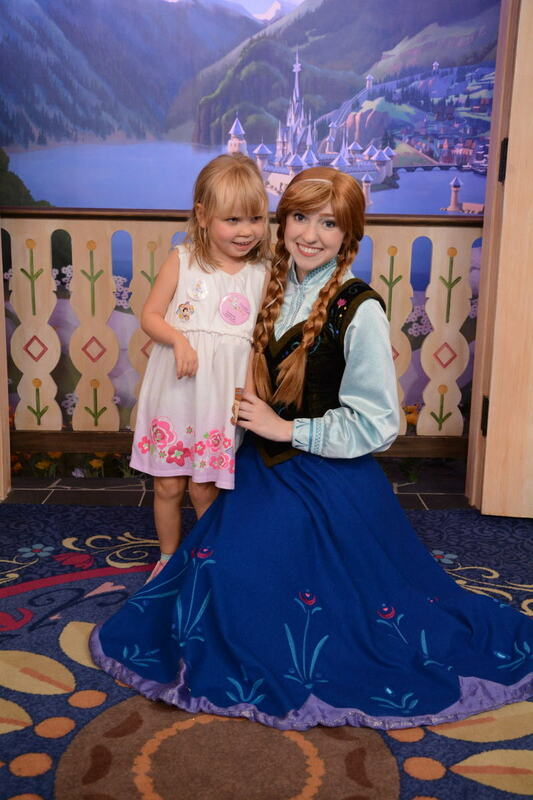 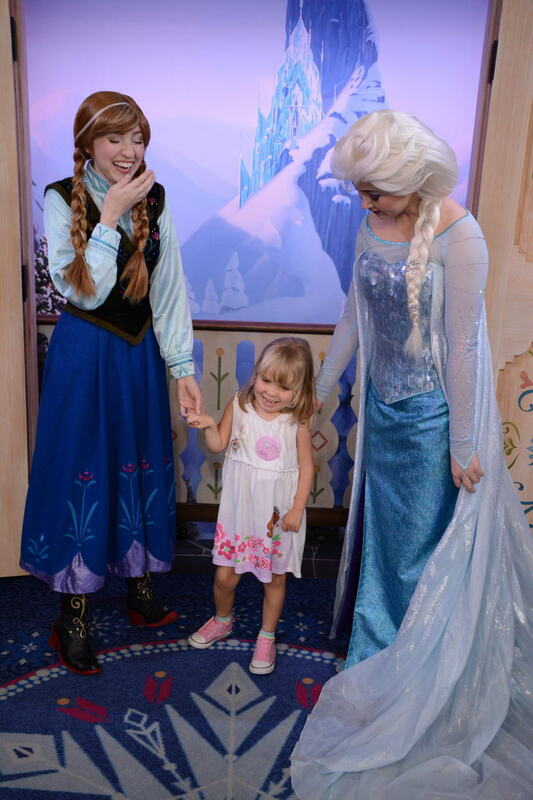 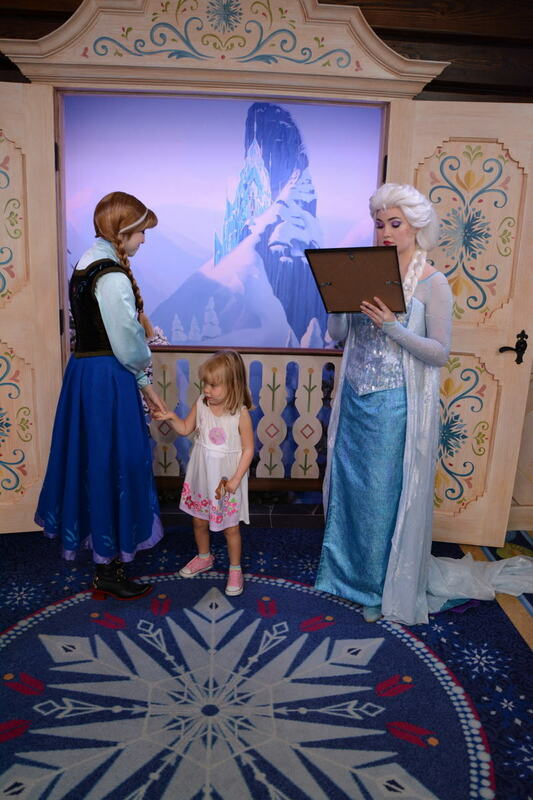 Elsa and Anna from Frozen are her favorites and they made it extra special. 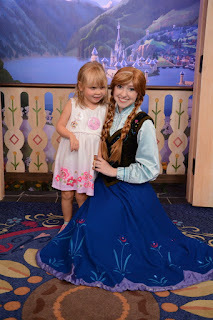 The Cast Members cleared the room of everyone else and Annabelle got to hang out with the sisters for about 20 minutes. 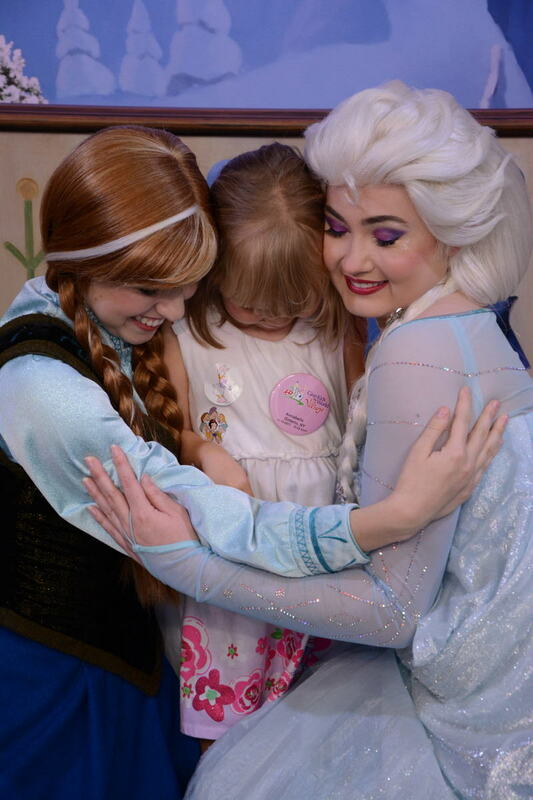 Telling stories, sister hug sandwich, and letting them know we saw Olaf earlier. It was such a special moment for us all, we had tears from the kindness they showed. 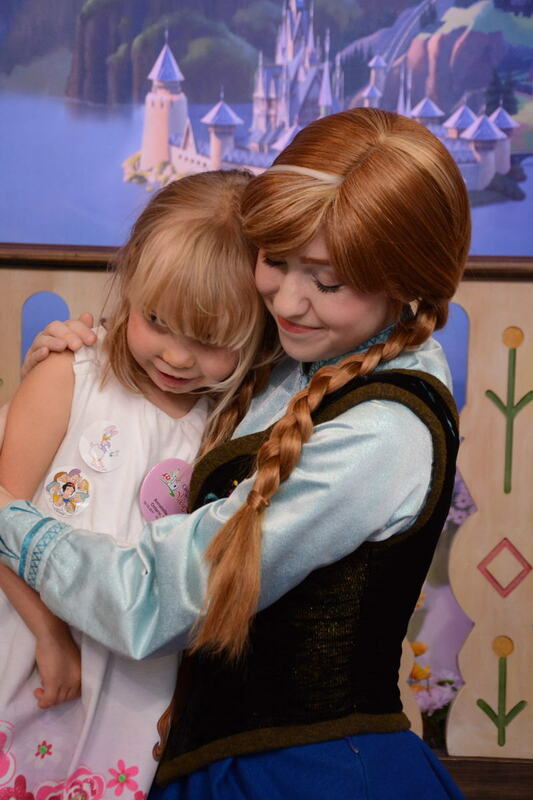 I hope they realize how special their kindness made Annabelle feel. 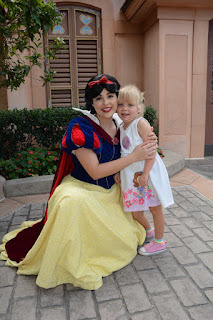 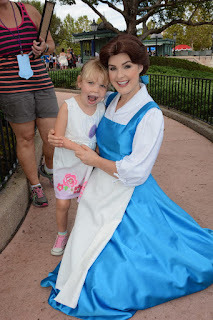 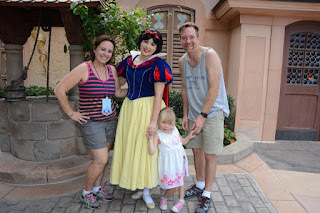 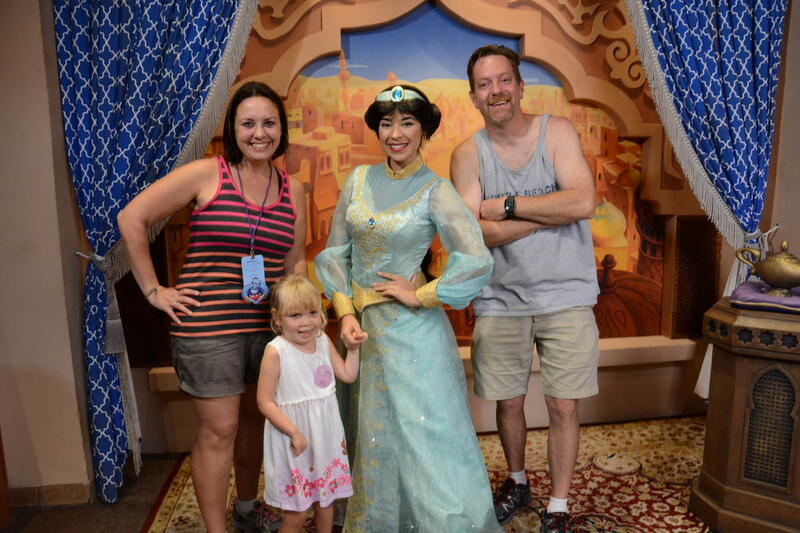 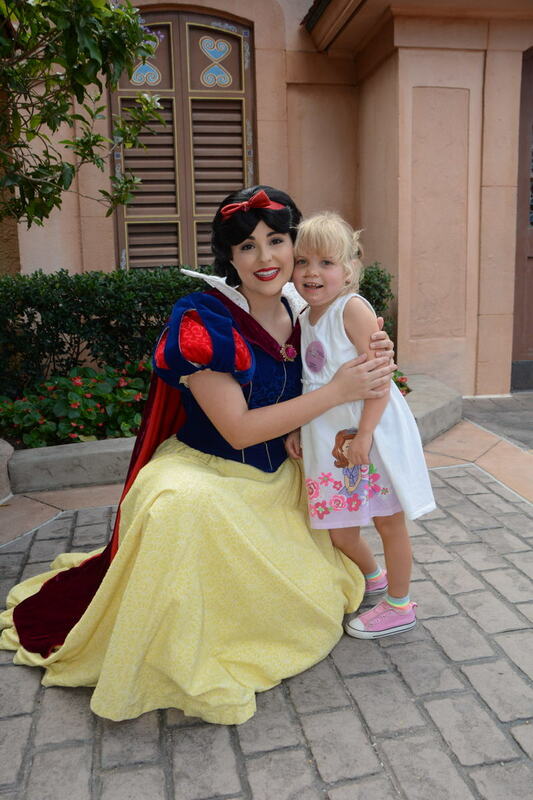 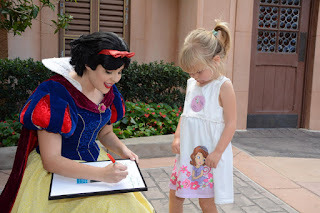 Snow White, we loved her! 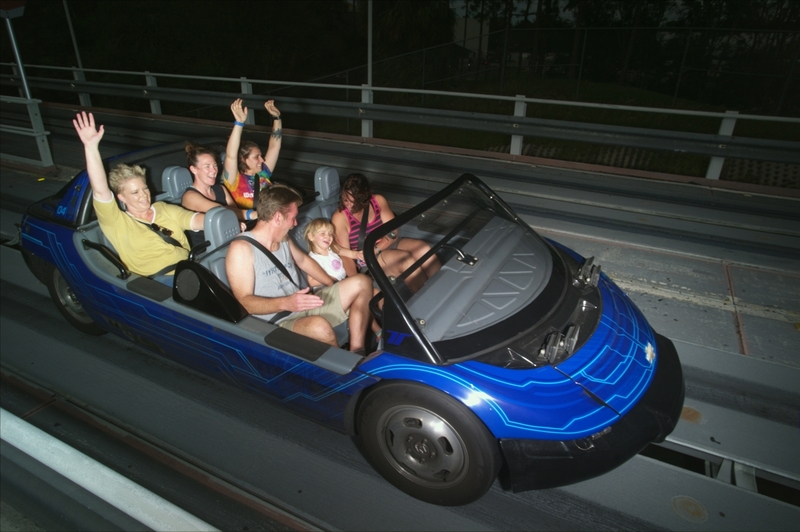 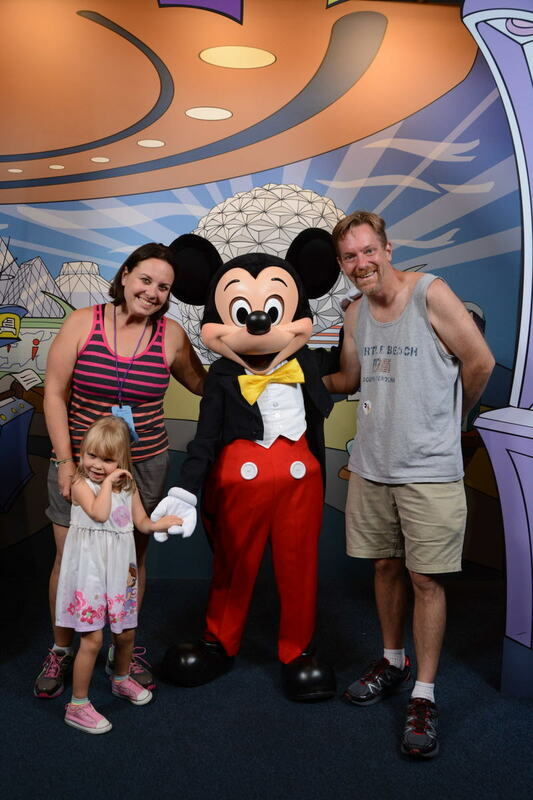 After the country side of Epcot we rode on Test track and found Mickey, Minnie and Goofy. 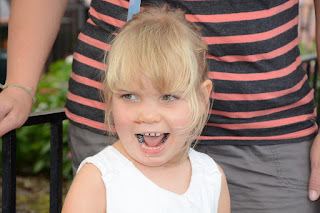 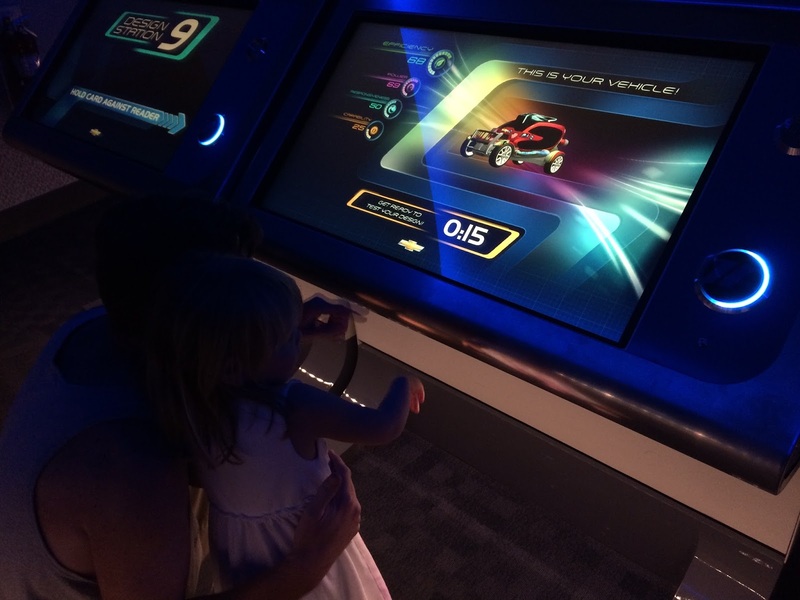 Riding on Test Track, Annabelle loved it! 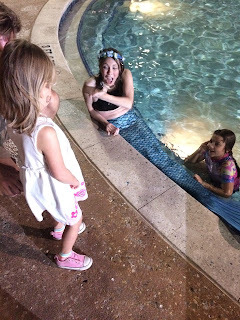 When we got back to Give Kids the World we ate dinner then went to the Pirate, Princess and Mermaid party. 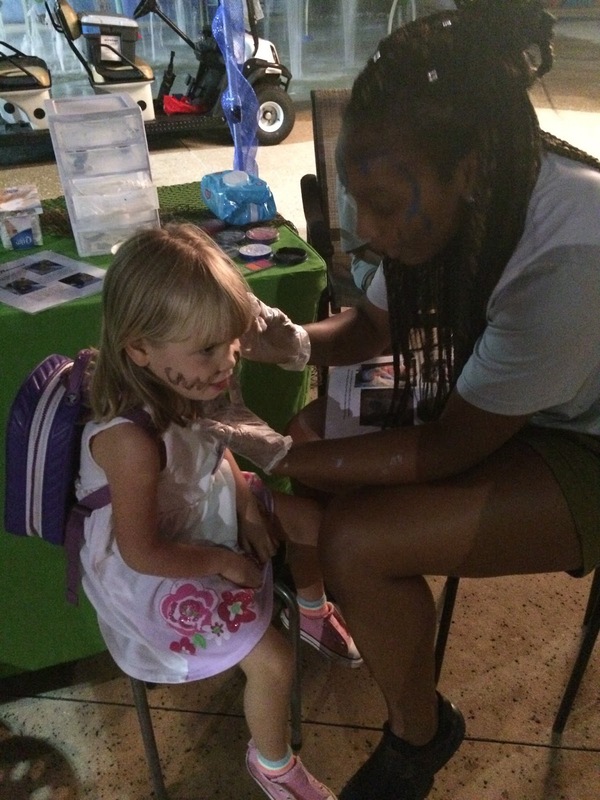 Annabelle loved sitting and talking with the mermaid and of course face painting. 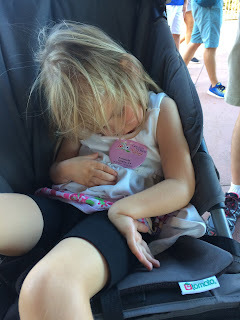 Day 1 of our amazing vacation was over and we were all exhausted. We made plans to go to Universal Studios the following day for more adventures.